Windstar Cruises is serving up intimate adventures and active enrichment with a luxurious twist announcing the launch of Windstar's Signature Expeditions which will offer high touch experiences both onboard ship and in the marine and wildlife environments where the award-winning boutique line sails. The new Signature Expeditions program kicks off in May 2018 with Windstar's greatly anticipated return to the Great Land of Alaska. 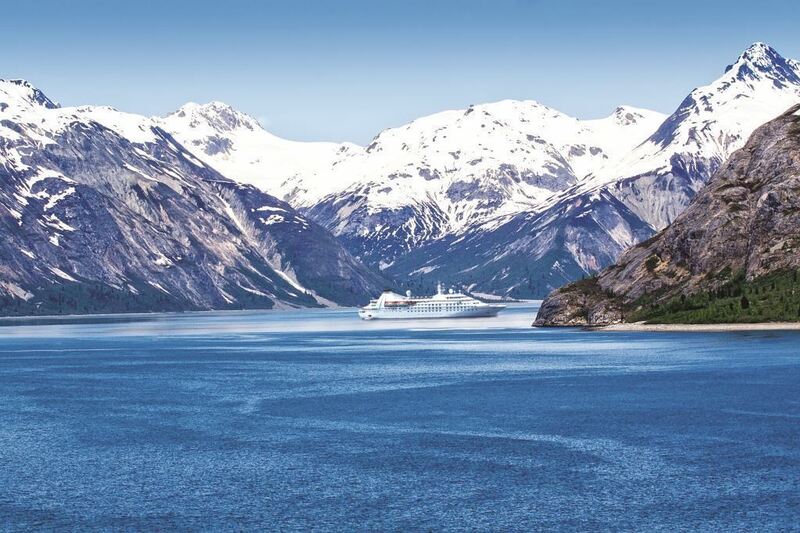 "We are offering travellers the chance to slow down and truly enjoy scenic immersion cruising amongst the glaciers and wildlife, and we have the perfect size ships for Alaska, period," said Windstar Cruises President, John Delaney. "With the addition of our brand-new Signature Expeditions, our comprehensive land tours and exciting roster of shore excursions, each guest will get to experience the best of adventure, breathtaking nature, and completely personalised service in an incredibly immersive yet completely uncrowded cruise." "Our experienced team has created the most intensive Alaska experience available in small ship cruising today and we can't wait to proudly welcome guests to Windstar's Alaska. It's all about our unique style of casual yet luxurious adventure." Windstar's Signature Expeditions program is designed to provide guests with dual opportunities for immersive and instructive enrichment onboard and Alaska offers the perfect waterways and rugged grounds to do so. At the outset, guests can participate in complimentary classes, one-to-one discussions and topical presentations with industry-leading outdoor experts. There will also an expedition team of five on every Alaskan cruise. Guests will also be able to pair their learnings with optional off-the-ship, personalised small group excursions on the ship's fleet of kayaks and zodiacs or on intimate small group hikes. All Signature Expeditions will be launched and led by these biologists, glaciologists and more. 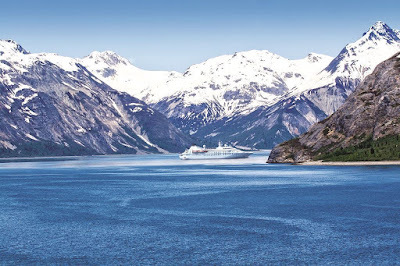 This two-fold concept will allow Windstar guests to put their new knowledge of the region into immediate action with up-close explorations of Alaska's magical realms like the Misty Fjords where few (mass-market) cruisers ever visit, let alone kayak the verdant and rugged natural coastline. The 212-passenger Star Legend will arrive in Alaska after spending the northern Winter and early Spring in Asia and will have recently completed an extensive dry-dock installation of the expedition hardware that will support the expedition team and new program. Windstar has engaged a team of expedition specialists to assist with the creation of Windstar's new Signature Expeditions in Alaska, as well as operate the program on board. These geologists, glaciologists, marine biologists and other experts will give commentary, interact with guests and be available to answer guest questions throughout the cruise. Combining insight with exploration, the skilled and knowledgeable team of expedition specialists will also lead outings aboard a new fleet of six inflatable Zodiacs and expedition kayaks, as well as take guests on hikes. A star attraction will be the whale-watching season in Alaska which coincides with Windstar's time sailing in the region. For the Alaskan debut of Windstar's new Signature Expeditions, which the company plans to expand to other cruising regions in the future, travellers can choose from morning and afternoon watercraft tours that will leave directly from the ship's tender and/or Watersports Platform, which means less time travelling and more time making the most out of the holiday. These special places are nearly impossible to reach without access directly from the ship. Zodiac excursions will bring guests close to the shoreline for wildlife viewing and kayaks will allow exploration of fascinating intertidal zones on the Alaskan coastlines, getting up close and personal with magnificent glaciers and, perhaps, sea lions and whales. Expeditions will be led in Kenai Fjord, Misty Fjords, Tracy Arm/Endicott Arm and the Inian Islands, dependent upon weather. Like shore excursions, the Windstar Signature Expeditions tours are optional for guests and available at a per person price of USD40 for hikes, USD170 for kayak tours, and USD150 for zodiac tours, all led by the onboard Expedition Team experts. Windstar Signature Expeditions get guests closer, show them more, and bring them home with once-in-a-lifetime memories. Windstar's cruises in Alaska feature six expert guides with a deep understanding of geology, marine biology, botany and more who travel on board for the entire cruise. These experts provide insight, education and commentary so guests can truly immerse themselves and absorb the Great Land. Misty Fjords Kayaking: On a two-and-a-half-hour kayak expedition through Misty Fjords National Monument, guests will see 3000-foot glacier-sculpted cliffs with numerous waterfalls cascading down the cliffs, wildlife like bald eagles, and perhaps brown and/or black bears and mountain goats. Throughout the forest, participants will find western hemlock, Sitka spruce and western red cedar. Kenai Zodiac Tour: On a Zodiac tour around Kenai Fjords National Park area, guests will ride by tidewater glaciers that flow from the Harding Ice Field, possibly seeing a glacier calving while riding among ice that has calved. Taking in the spectacular scenery of the area, participants may see harbor seals, black bears on the beach, bald eagles, and puffins. Wrangell Interpretive Walk: This intimate tour will be led by two experienced Expedition Staff members on board. John Muir hiked here while using Wrangell as headquarters for his Stikine delta explorations. Participants are assured of wonderful views and a true immersive forest experience with an elevation gain of about 400 feet. The hike will present good views of the surrounding mountains and the town and waterways below. Windstar's just-announced pre-and post-cruise Alaska land tours are available to be added to many of Windstar's Alaska sailings in 2018. The five-day/four-night journey from Seward to Fairbanks, and the reverse, will captivate guests with the unspoiled beauty of the Alaskan wilderness. If beginning in Seward, a Windstar guide will greet travellers after they disembark and then journey to Alaska's largest city, Anchorage. Time will be spent exploring the Anchorage Museum before continuing onward for an overnight in the hidden gem of Talkeetna, a unique Alaskan aviation, mining, and climbing town. On day two, the voyage continues via rail with a guided tour into Denali National Park and includes a fun musical dining experience and an orientation about the park, prepping all on the big adventure that awaits them the next day. Day three will delve into the magnificence of Denali with a roughly seven-hour tour, encompassing the park's history and catching glimpses of a few local friends like caribou, moose, and grizzly bears. On day four, guests will board a motor coach to Fairbanks, Alaska's Golden Heart. Here, highlights include a cruise down the Chena River, taking in the history of this pioneering community and a farewell dinner that captures the frontier spirit. Kroschel Wildlife Sanctuary: This wildlife sanctuary near Haines sprawls over 60 acres and will provide incredible photo opportunities of orphaned Alaskan animals living in their natural habitat. The venue is overseen by caregiver Steve Kroschel, a real life Alaskan Dr. Doolittle. Kroschel was born and raised on a farm in Northern Minnesota and has worked with wild animals since childhood in a variety of ways, including producing his own wildlife documentaries and working on films for Disney and National Geographic. Taku Lodge Feast & 5 Glacier Seaplane: For those looking for an authentic, one-of-a-kind Alaskan experience, the seaplane-only-access to Alaska's famous Taku Glacier combines true wilderness with glacier-view dining. From Juneau, a classic DeHavilland seaplane will ascend over five breathtaking glaciers surrounded by the majestic Tongass National Forest and land on the Taku River at the elegantly rustic and historic Taku Lodge where travellers will savour a menu of fresh and homemade local fare. All participants get to enjoy a window seat and headset for continuous narration. Fishing the Inside Passage: This scenic outing in Wrangell offers a chance to catch a variety of fish from halibut to salmon in the abundant waters of the Pacific along the famed Inside Passage of Alaska. A quick boat ride ensures that the most time is spent fishing rather than just getting there. With 'captain's choice-style' fishing there is also a higher likelihood of catching a specific species for that given day. To top it all off, any catch can be professionally processed and shipped home for an additional fee. Windstar announced its plans to return to Alaska after being away from the region for more than two decades. The inaugural 2018 sailing in the region begins in May aboard the 212-passenger, all-suite Star Legend, with the sailing season continuing through to 10 September 2018. The itineraries include less-visited ports like Metlakatla and Wrangell, as well as feature longer 14-day cruises to slow down and truly enjoy scenic cruising amongst the glaciers, including Tracy Arm and Misty Fjord.